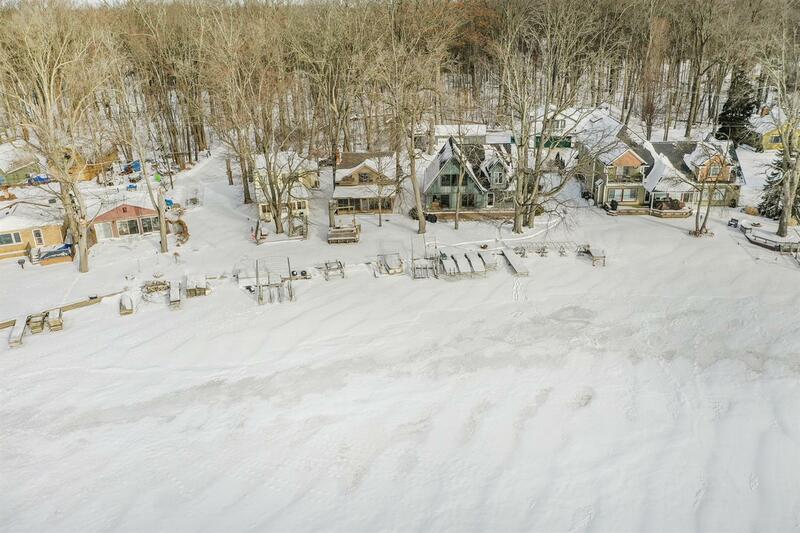 Welcome to the lake! 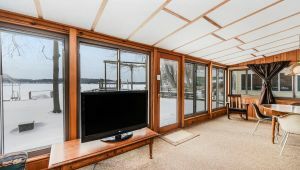 Great house with lake frontage on all sports 254 acre Baseline Lake on the Portage chain ready to move into. 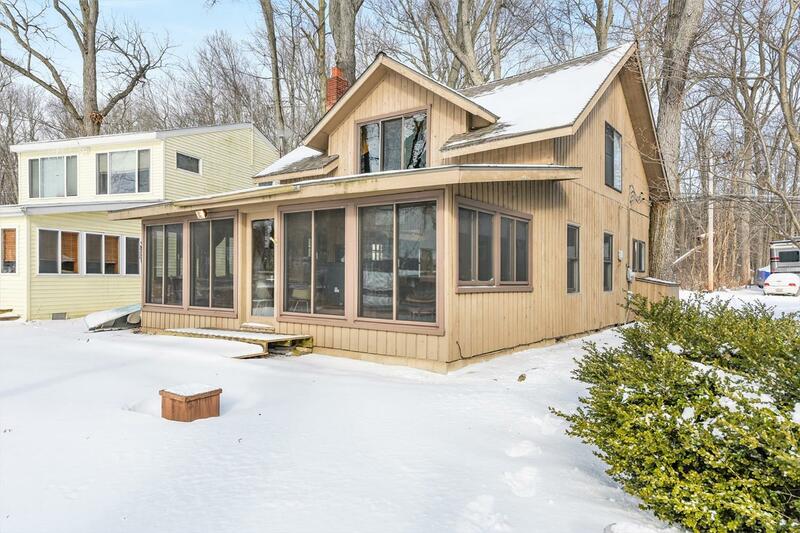 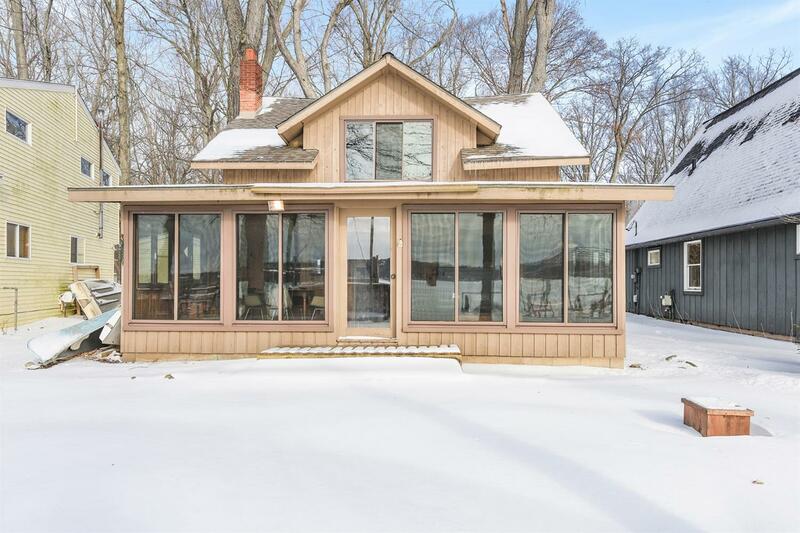 Open and spacious living/dining with wood FP and perfect lake views along with enclosed porch for additional family space on the lakeside. 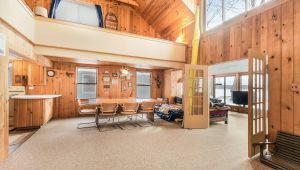 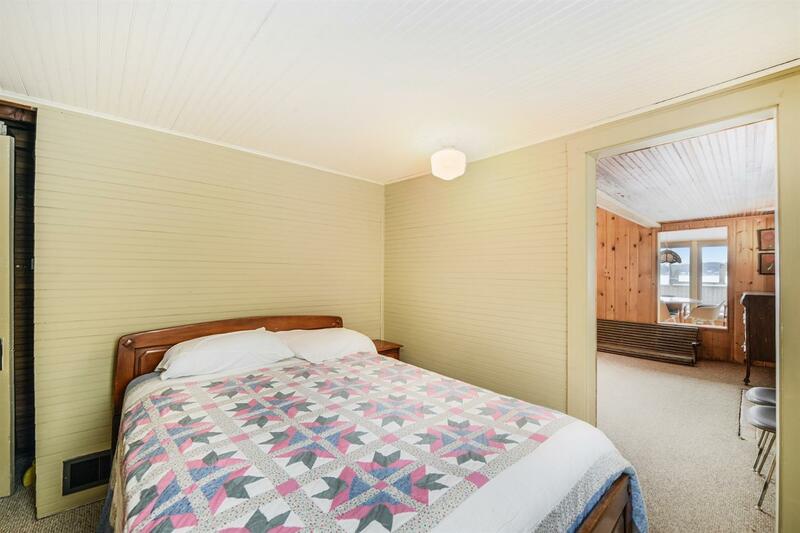 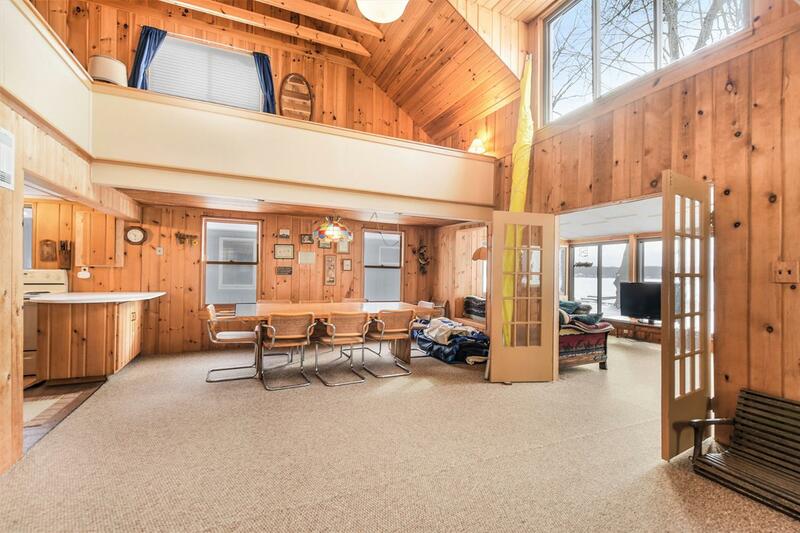 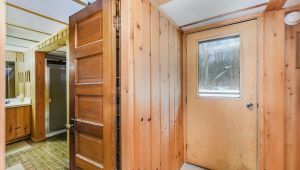 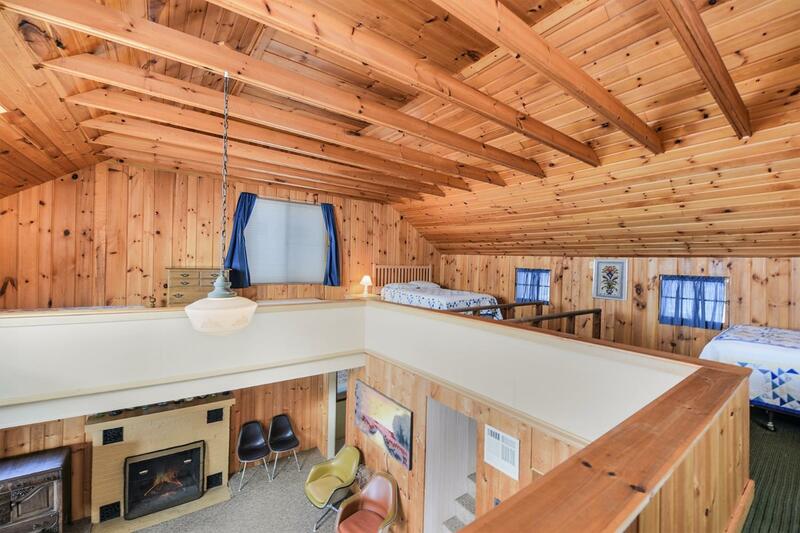 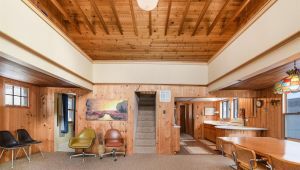 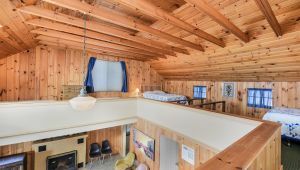 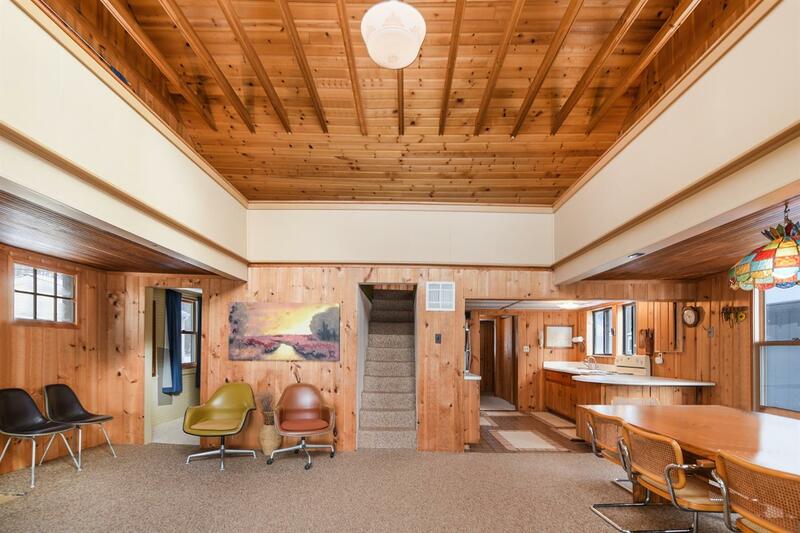 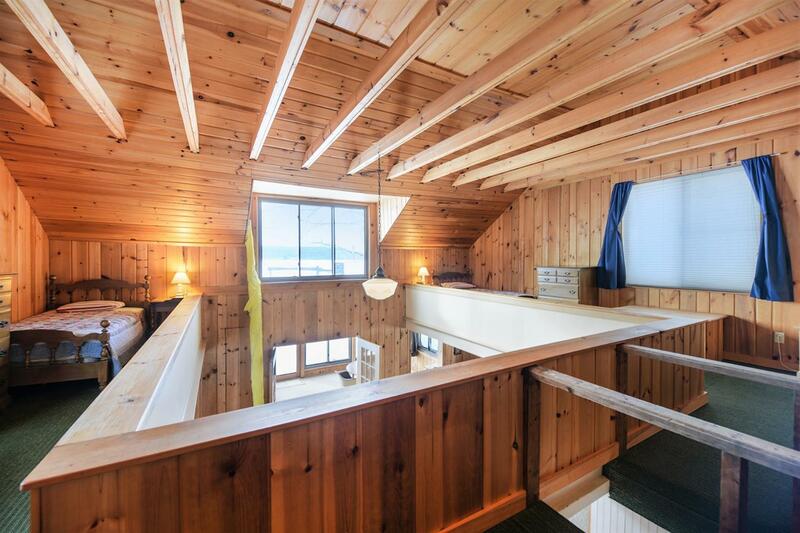 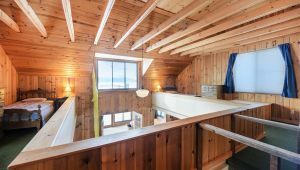 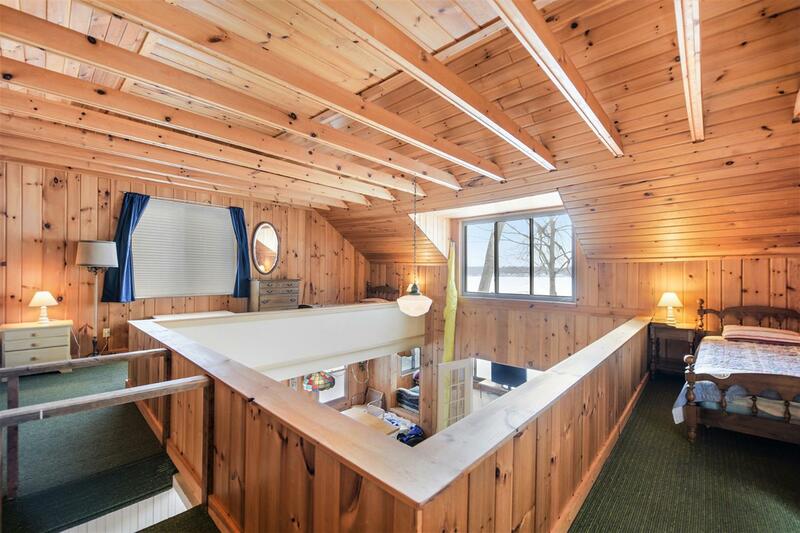 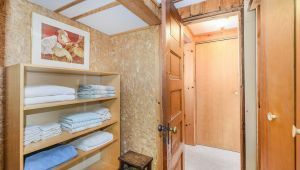 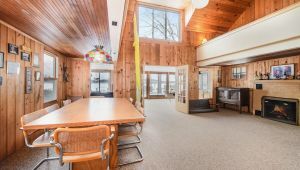 Beautiful knotty pine interior with soaring ceilings up to huge loft and large windows for plenty of natural light gives an open and airy feel. 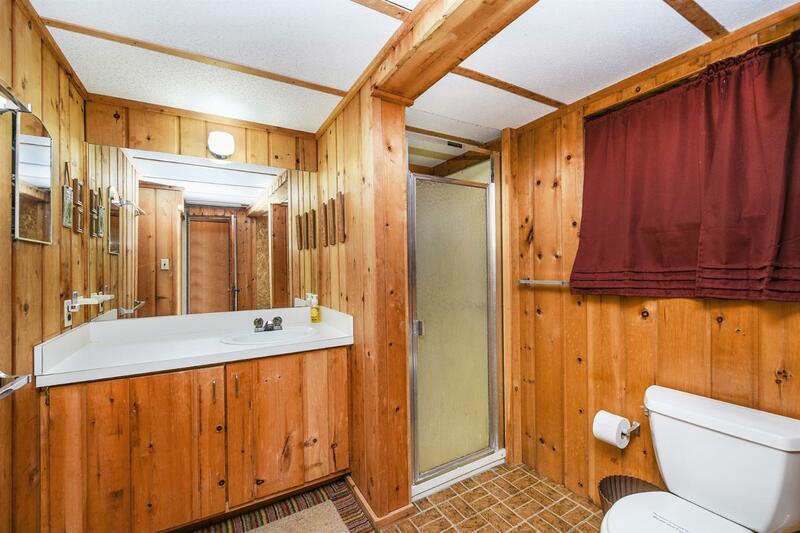 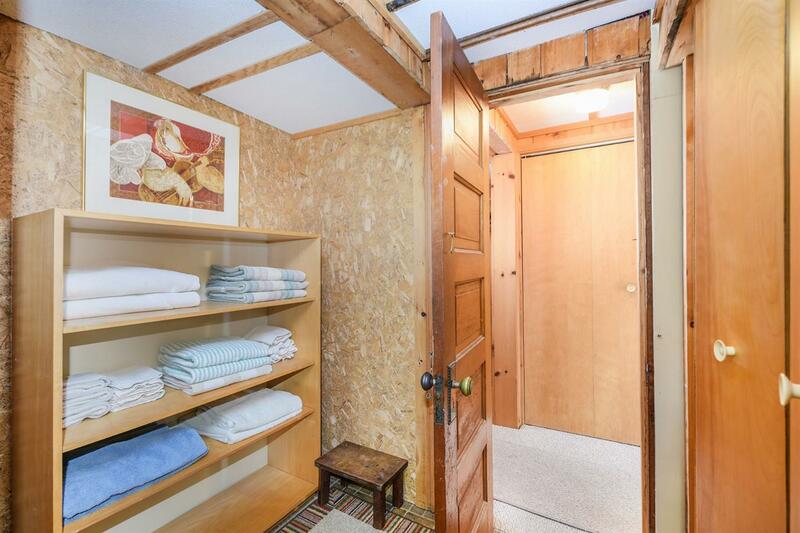 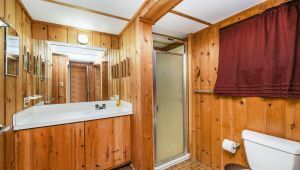 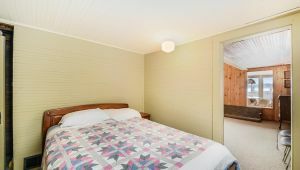 Main floor bedroom connects to full bath with laundry hookup. 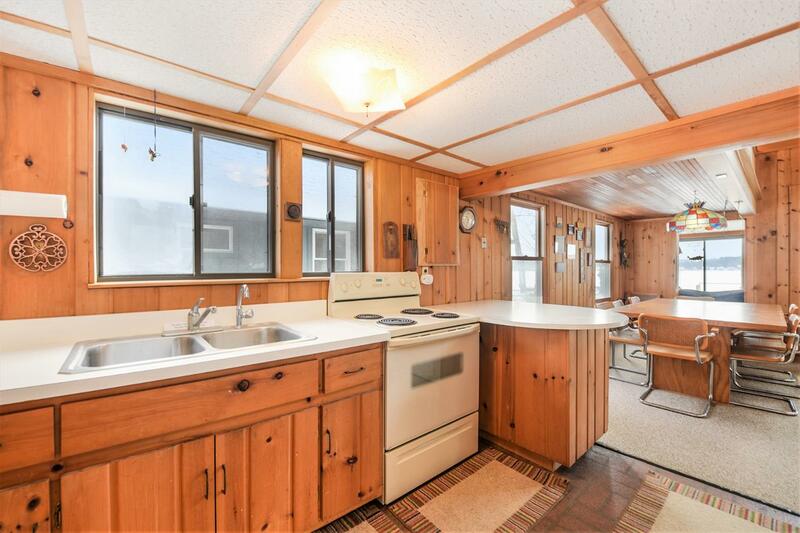 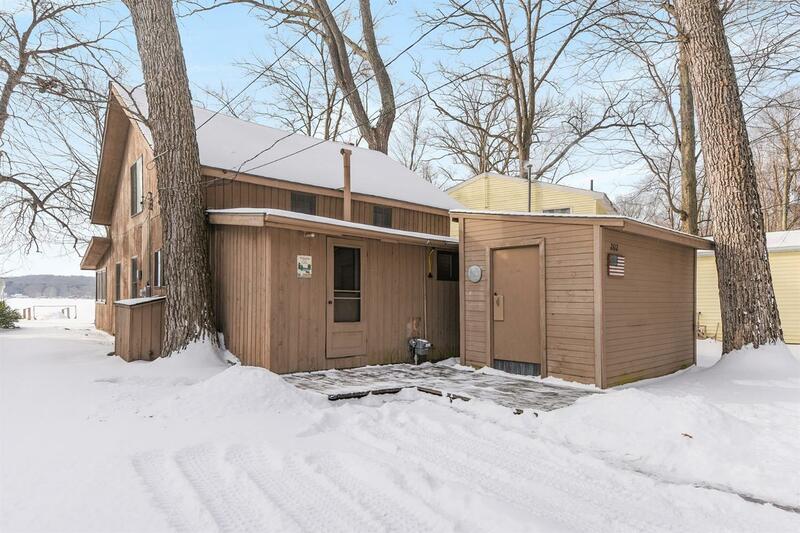 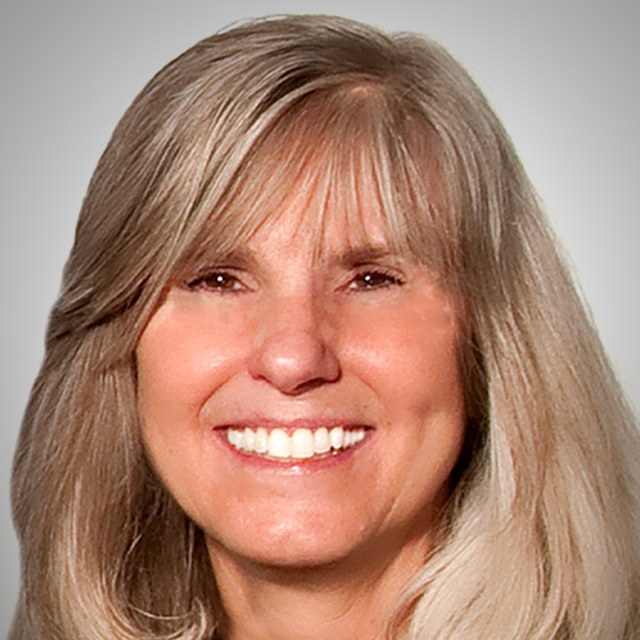 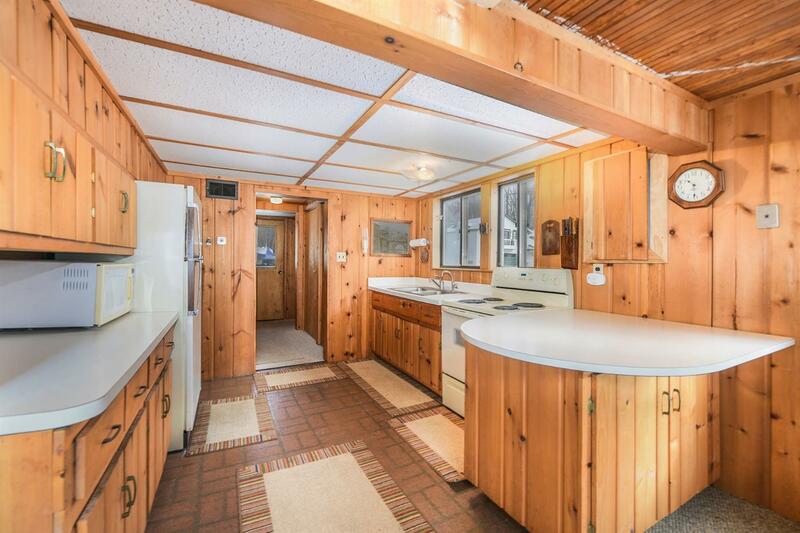 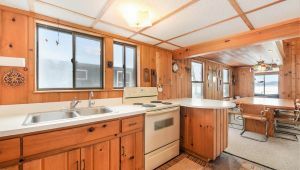 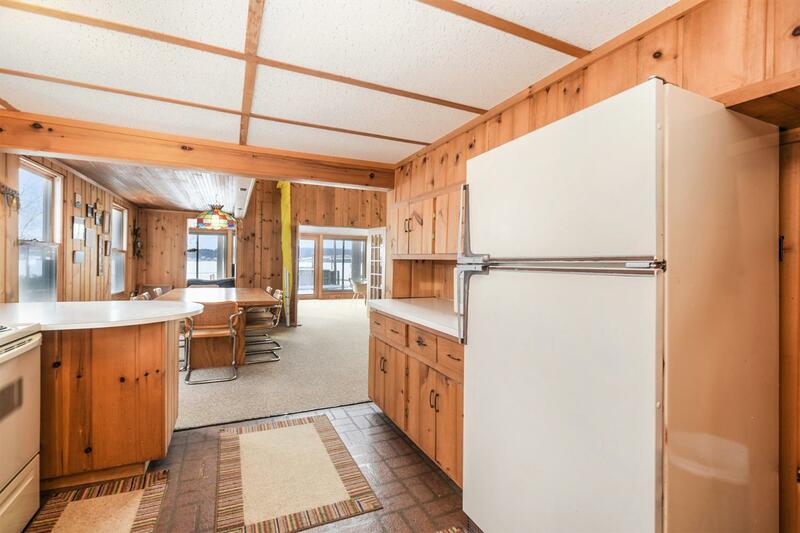 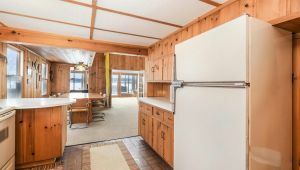 Convenient working kitchen with snack bar and lake views and includes appliances. 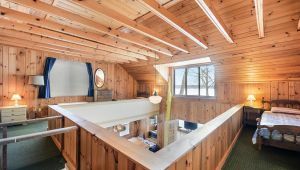 Awesome open loft above offers lots of possibilities with 2 more bedroom* spaces plus extra room to configure as needed and of course the beautiful lake views. 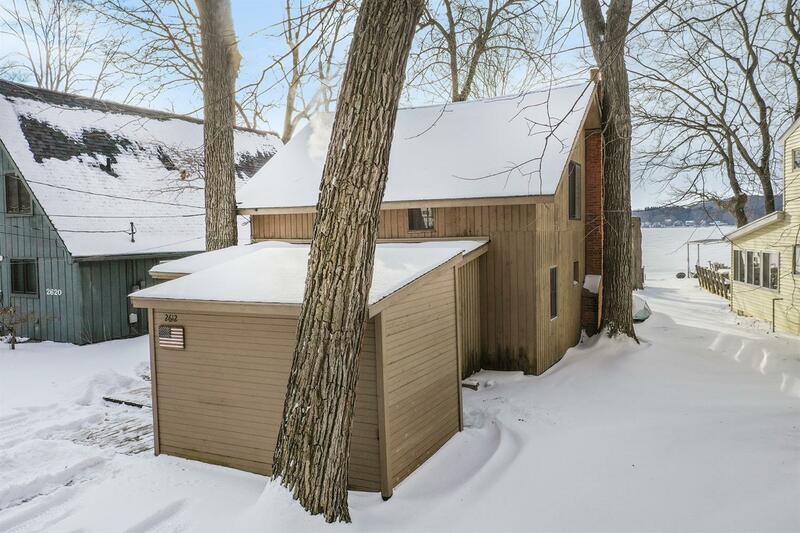 Outdoors offers convenient shed for your storage needs, entry deck and lakeside patio. 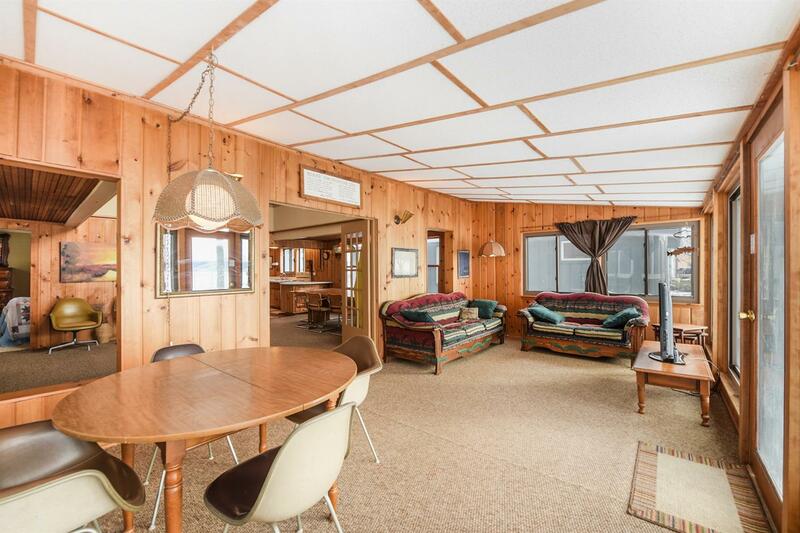 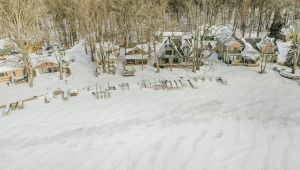 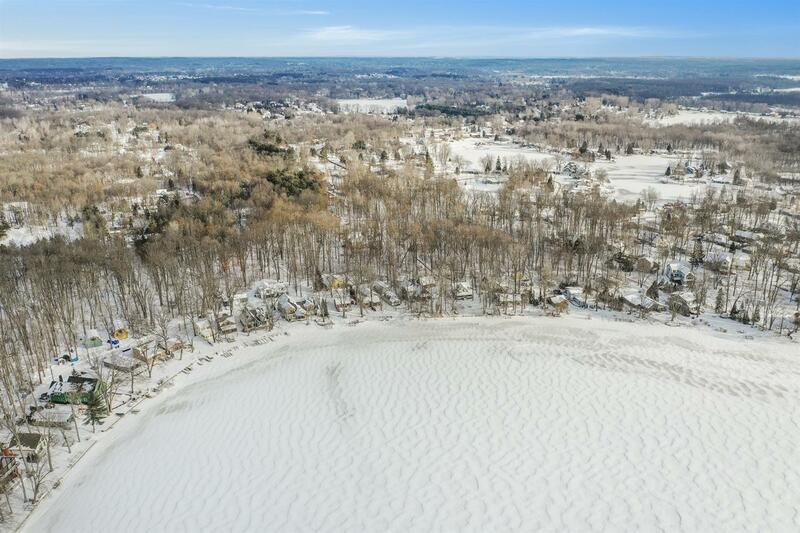 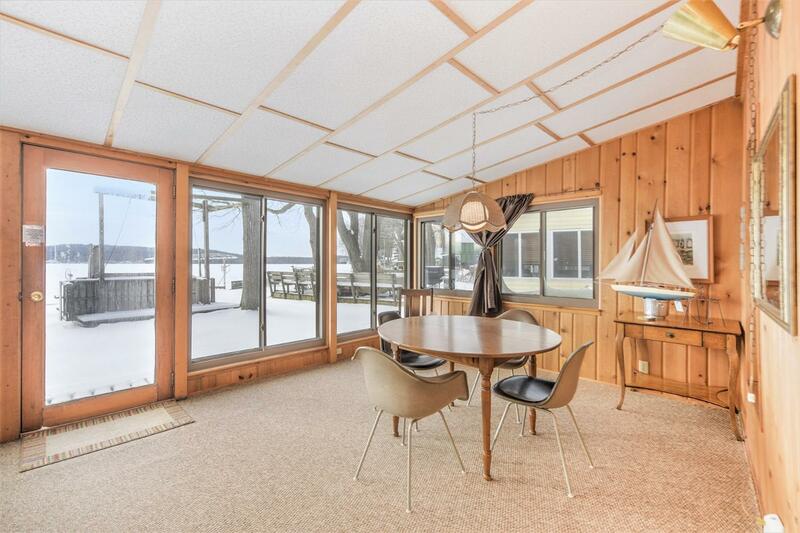 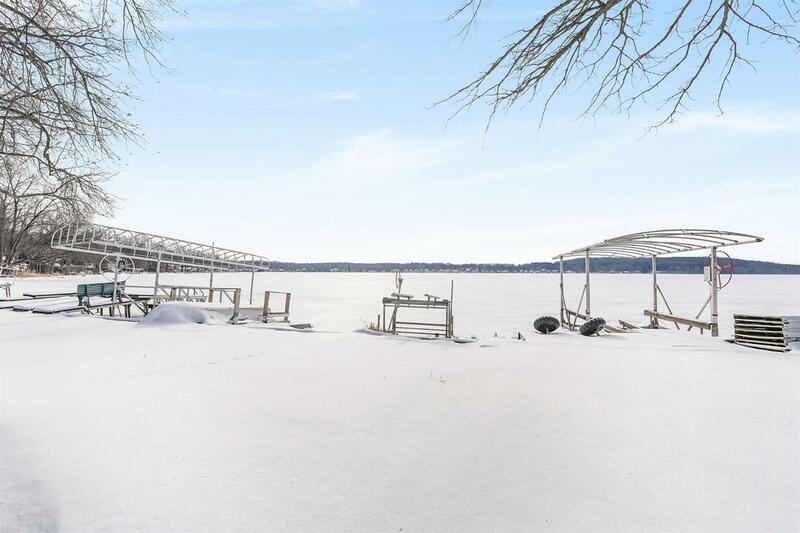 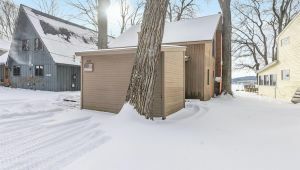 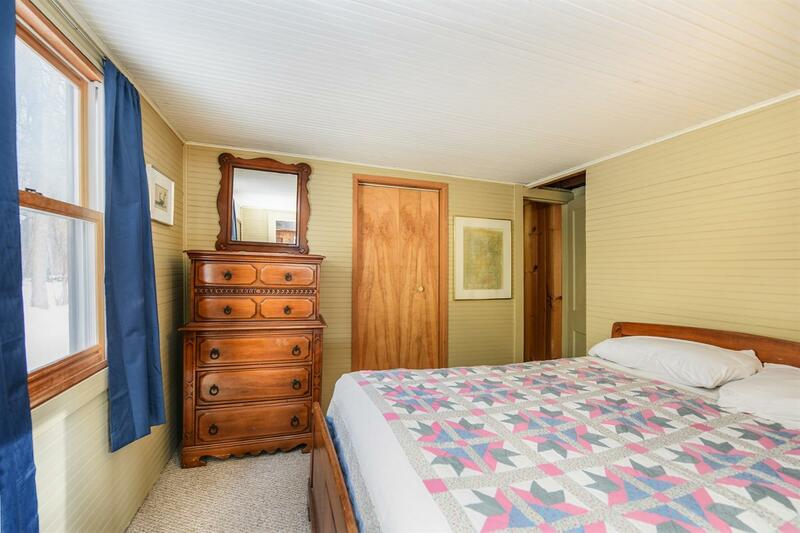 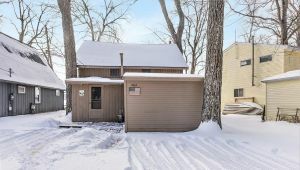 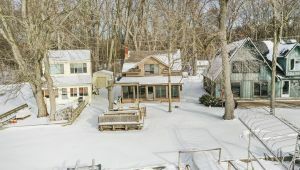 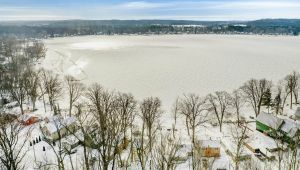 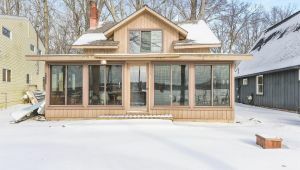 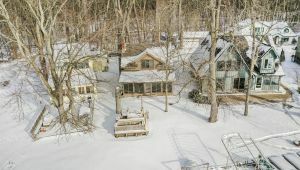 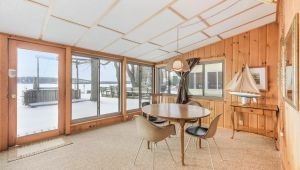 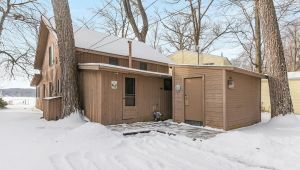 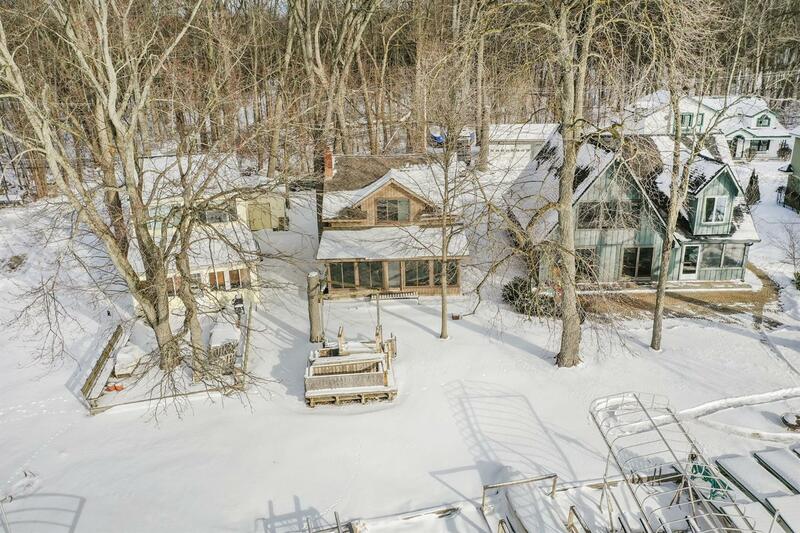 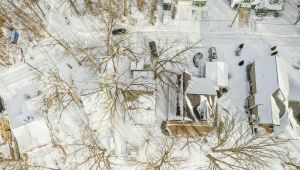 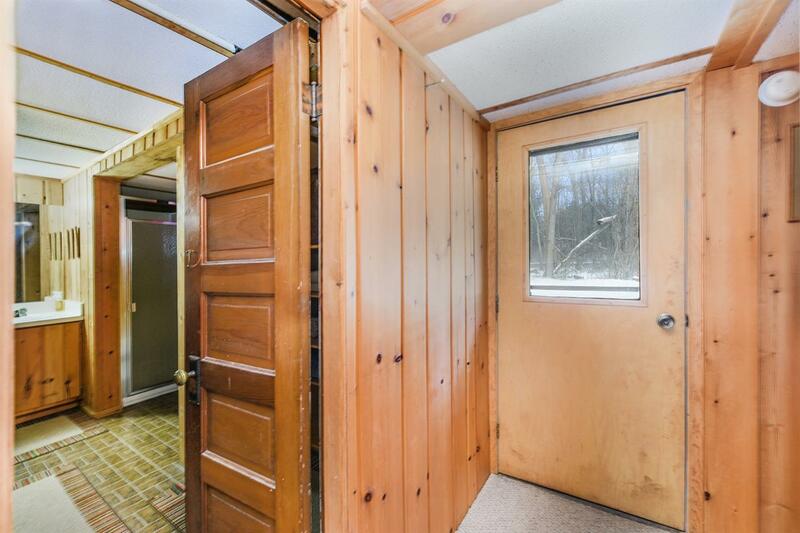 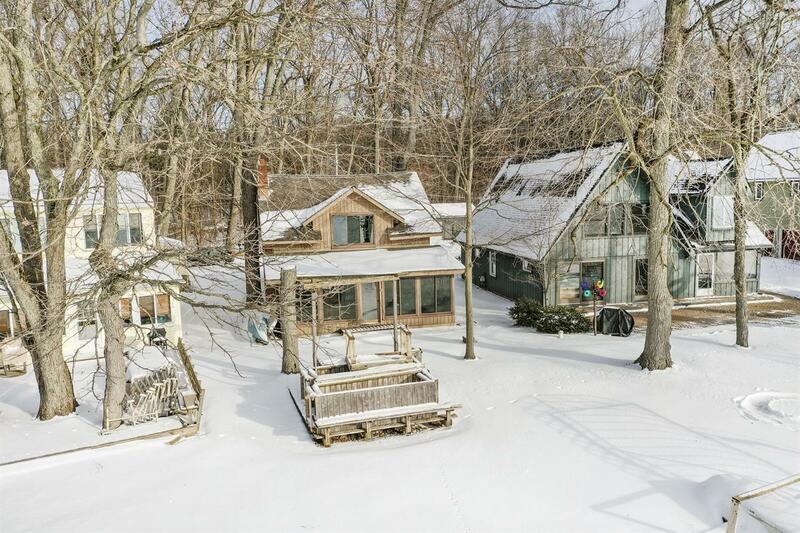 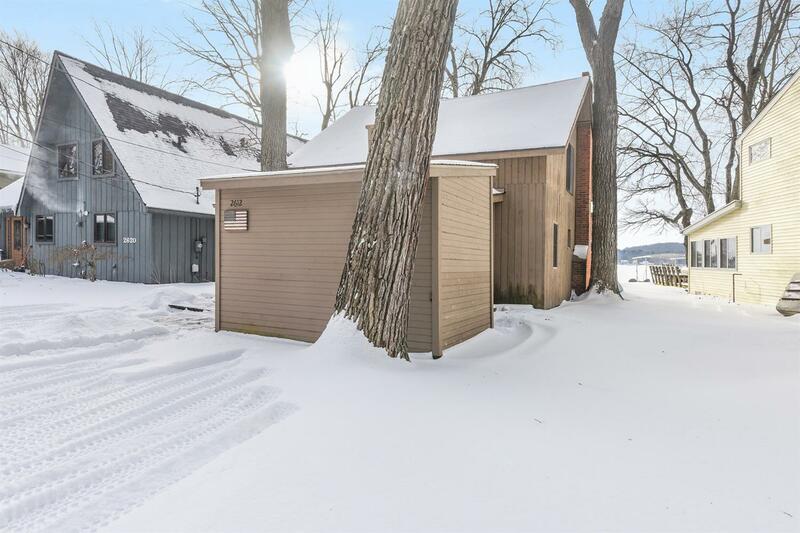 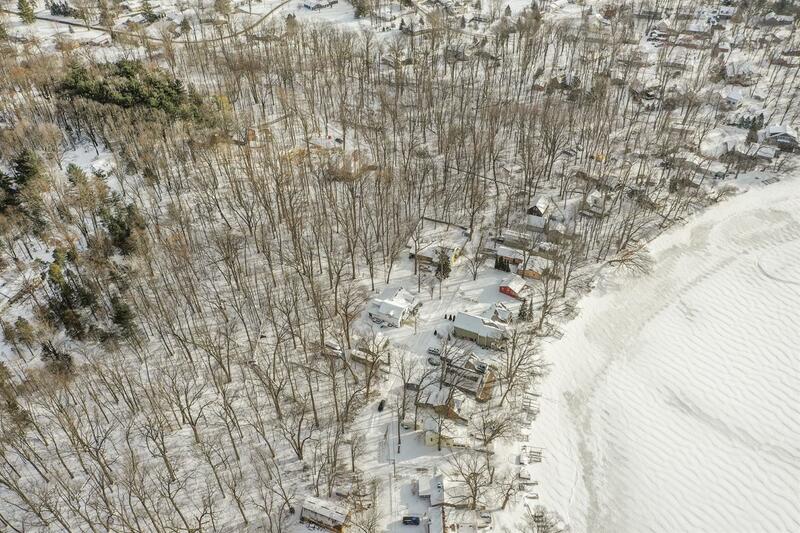 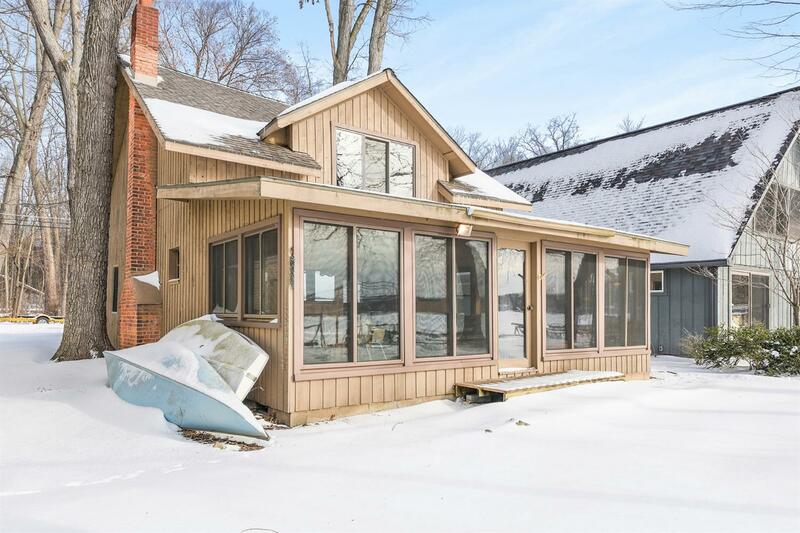 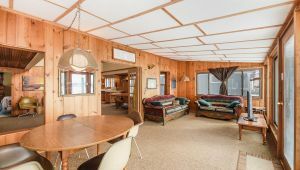 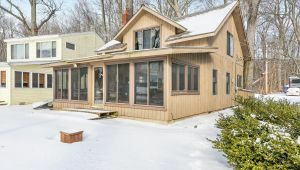 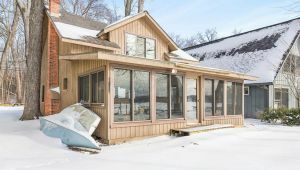 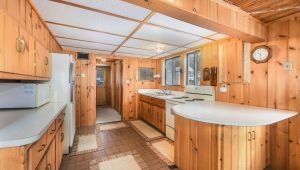 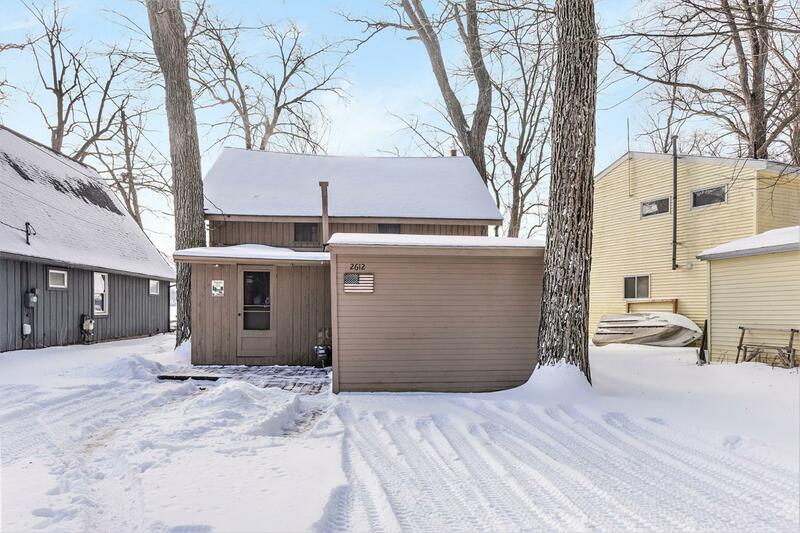 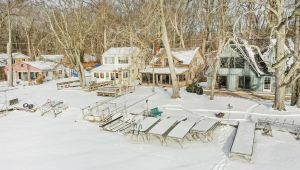 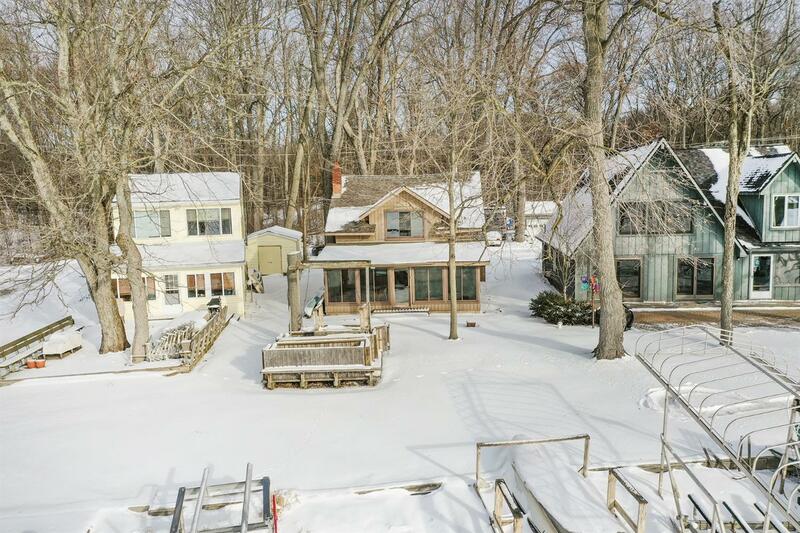 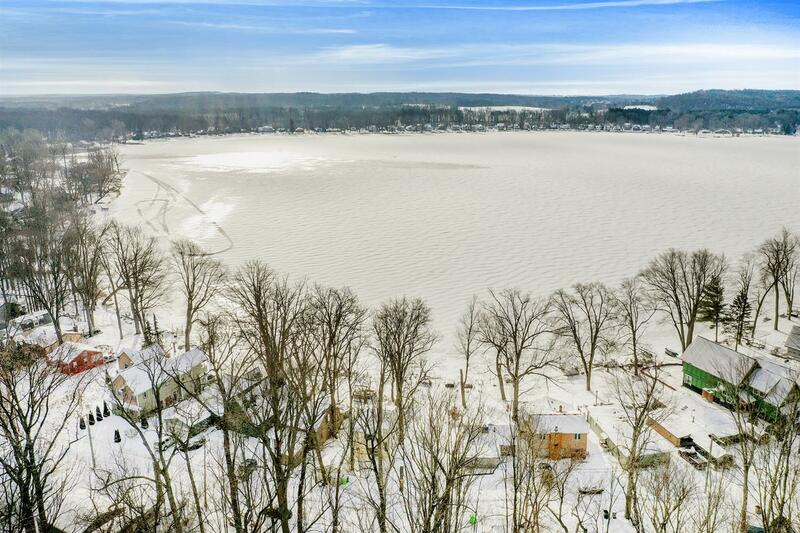 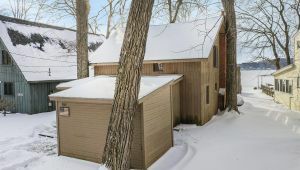 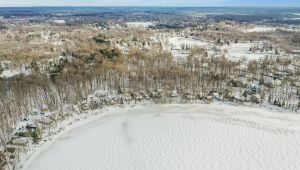 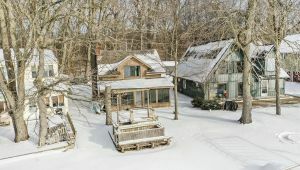 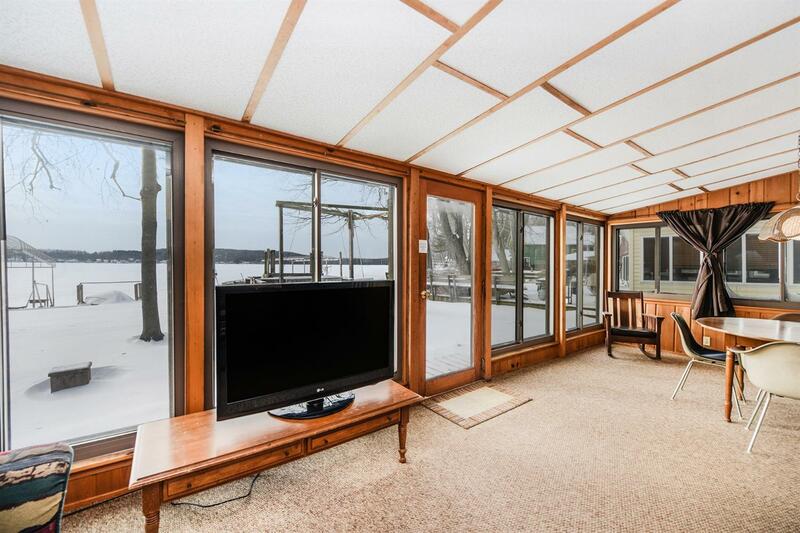 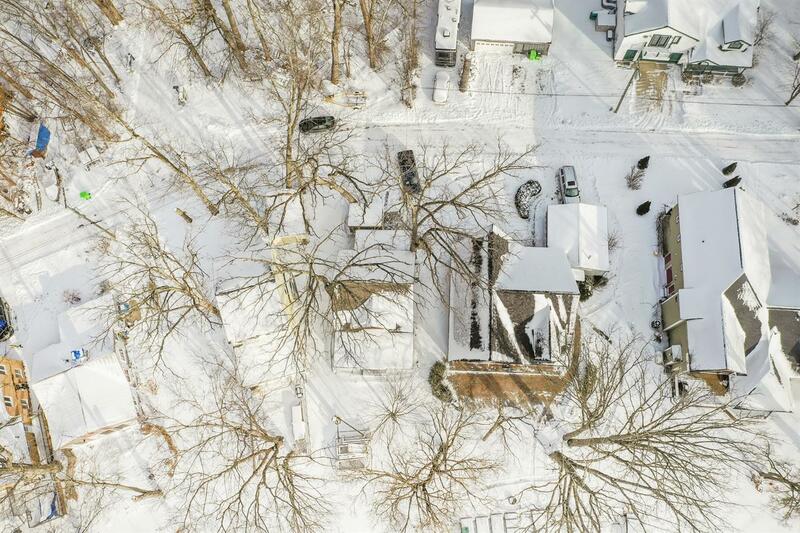 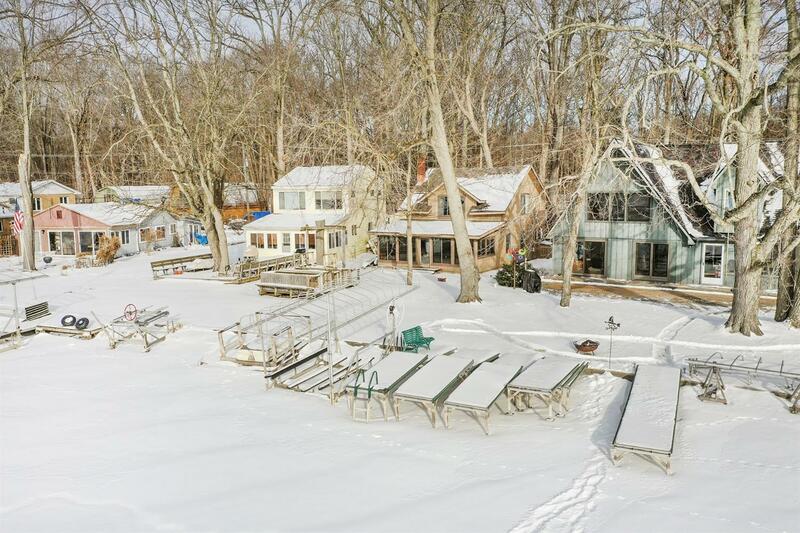 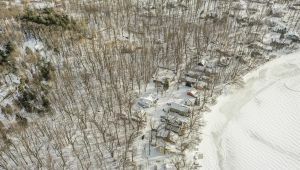 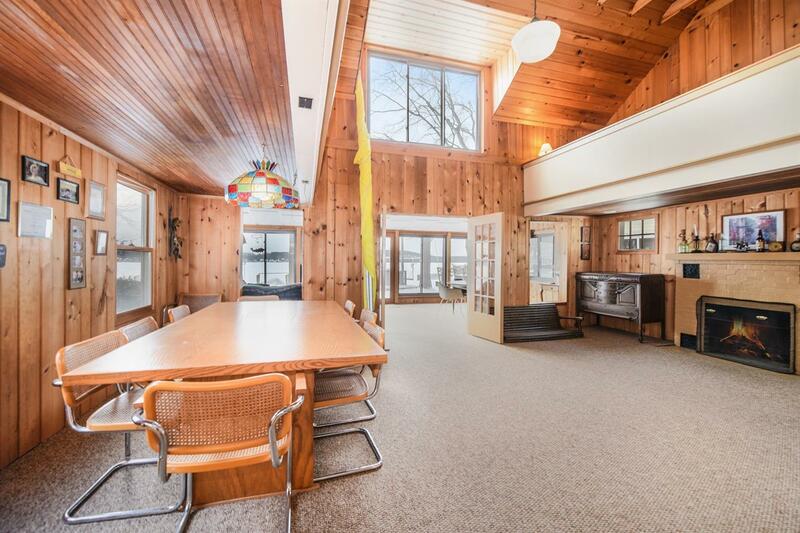 Plenty of space to dock your boat and enjoy outdoor entertaining on one of SE Michigan’s premier lakes on the Huron River chain taking you through 8 lakes all the way to Zukey if you like. 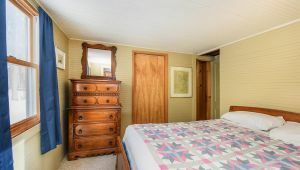 Also close to the Lakeland Trail, Peach Mountain & across from U of M sailing Club!